We offer myriad bee workshops and tours for bee and garden clubs, schools, private groups, etc. A few examples are below. Contact us to tailor one to your needs! Indoor or outdoor depending on the season. Intended for new beekeepers. For adults or families. 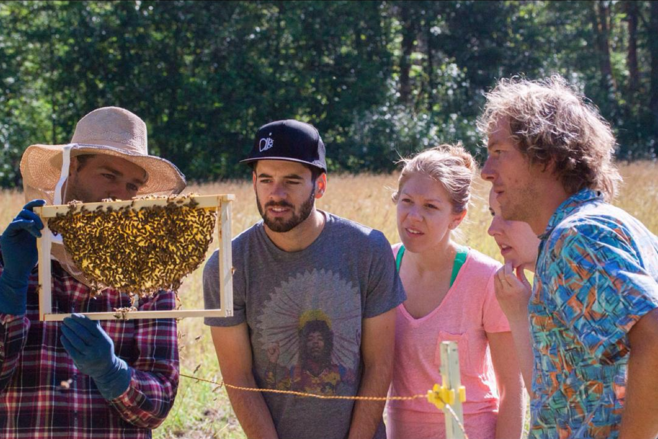 Focused on showcasing the bees themselves. Tailored to beginners and folks who want to learn more about bees, but may not want a hive of their own. This is a great one for kids groups (daycares, camps, etc)! We chat about wild bees, go on a bee safari, do a scavenger hunt or bee games, then make something, such as mason bee homes or seed bombs. Interested in building a pollinator hotel in your yard or school? We can help you build it, and then run a workshop filling it with materials and learning about bees. Learn how to create a pollinator paradise in your yard or garden! Does your business or organization have land that would like to start a bee garden? Learn what plants bees love, and how to plan a garden that blooms all season. Other workshops available depending on your needs! 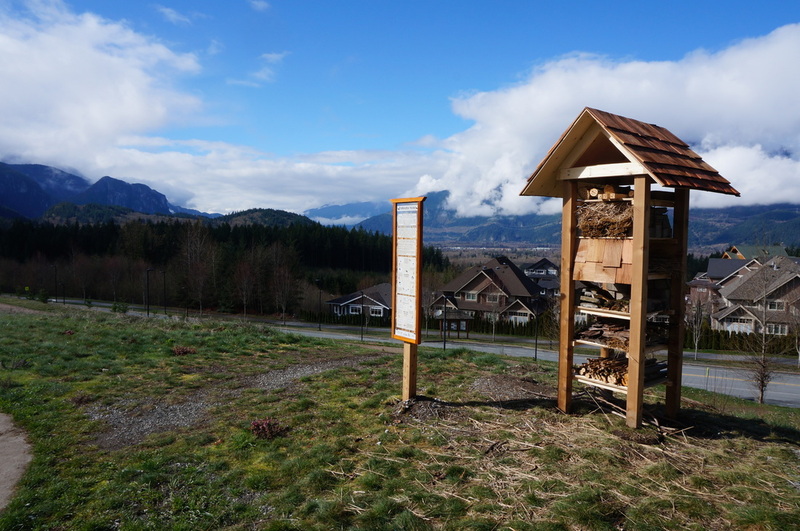 The pollinator hotel at Quest University that Michalina installed for her thesis project.